Have you ever discovered – in the middle of a project – that you don’t have the right equipment for the job? Whether you’re baking a cake, painting a seascape, or fixing the car, it can be frustrating to not have all the ingredients, colors, or tools at hand. It’s no different with music creation. It’s a drag when you’re producing a great-sounding piece and you suddenly realize that a.) This piece needs a specific instrument, and b.) You don’t have that instrument sound at hand. Today we’ve released a solution: the Garritan Anthology. 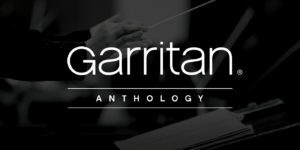 The Garritan Anthology lets you download eight Garritan sound libraries – every library we make except the full CFX Concert Grand – at a savings of more than 60% off the combined individual prices. Included are CFX Lite, Classic Pipe Organs, Concert & Marching Band 2, Harps, Instant Orchestra, Jazz & Big Band 3, Personal Orchestra 5, and World libraries. Whether you need a renaissance pipe organ, a mellophone group, a subcontrabass saxophone, a contra tuba, a gamelan ensemble, a special harp technique, or a quick cinematic orchestral mood, you’re covered. What’s more, because you download each library individually, you can manage your drive space any way you wish, and never have to worry about leaving any sounds at home. The Garritan Anthology is available today for just $399.95.